It’s a walk down memory lane to say goodbye to Elena Gilbert (Nina Dobrev) in the sixth season finale of The Vampire Diaries. Is the goodbye worthy of Dobrev and her fans? One thing I cannot deny about The Vampire Diaires: boy do they know how to do a season finale cliffhanger. So is this the end for two of our main characters? If Bonnie Bennett (Kat Graham) is our last hope, then Mystic Falls and the Salvatore house will soon be home to the Travellers. What will become of our gang of misfits if all their fates are resting in the hands of a screwup? A secluded cabin. A murderous ghost. A love triangle.. or is that a rectangle now? Does everyone make it out unscathed? 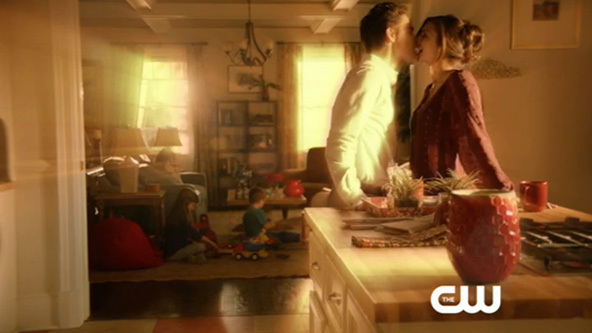 Visions, true love and magic bring Stefan (Paul Wesley) and Elena (Nina Dobrev) back together again. 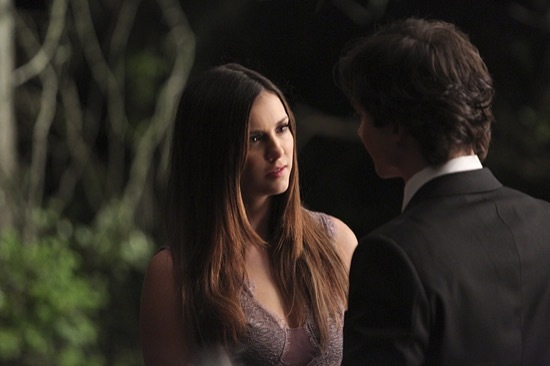 But will it mean the end for the love triangle, forcing Elena to finally be alone? In it return episode after Olympics break, The Vampire Diaries gives the viewers some surprises, some steamy make outs and some brutal murders. Will the gang all be able to recover from the fallout?